My primary source is Michel Foucault’s article ‘Discipline and Punish-Panopticism’. It plays into my research question, “How does the original panopticon discipline people in comparison to the technological panopticon used in Persons Unknown?”, because it describes the original panopticon in detail and how it gets people to self-police since they are always afraid that someone is in the all-seeing tower, watching them without ever being able to know for sure. The original panopticon was a building in which there were cells surrounding a tower that was all glass. The glass on the tower could be seen out of, but not seen in. So the people in the surrounding cells could never tell if someone was actually in the tower watching them, it just had to be assumed. This assumption that someone was watching them forced them to self-police in order to not get in trouble. I read another article called ‘Cam Era’ by Koskela which is about the new technological panopticon and the differences between it and the original panopticon so it directly talks about my research question. Video cameras make it possible for people to be seen without knowing they are being watched or who is watching them, just like the original panopticon. Our society utilizes video cameras to make people aware of their actions and self-police them just in case there is a camera and someone is watching the footage. But they don’t know if someone is actually watching the video cameras, just like the original panopticon, only it’s a technological one. The reason I decided to do this subject was because I was watching the TV series ‘Persons Unknown’ when we were choosing our topic and it really interested me. This TV show is another one of my primary materials. 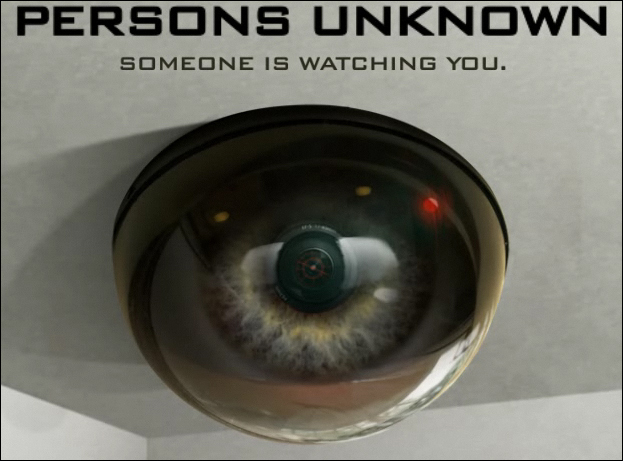 The show is set in a town that has cameras covering every inch of it and the people there never know if someone is actually watching the footage, like the original panopticon, and this makes the self-police their actions and what they say. Every episode shows them being watched by the cameras and no one answers them when they talk to the cameras and try and get something. They also end up finding the room where they watch the video and no one is there at the time, but there are consequences every time they do something wrong so someone must be watching. This research is important because there isn’t much information available on the subject of self-policing surveillance related to the panopticon. I will be adding information about self-policing surveillance in this new technological age. Like how the technological panopticon works in disciplining people self-police themselves as to avoid getting in trouble for things that they normally wouldn’t think so much about. It makes people more aware that someone could be watching at all times, so they need to be more aware of their actions. As well as the differences between the new, more universal, technological panopticon of cameras everywhere, watching your every move versus the original panopticon with a person in a tower watching your every move. This is helpful to people who create surveillance systems and new technologies. It will help them realize where they are falling short of the original panopticon and what they can improve on their new technological panopticons. My source by Marion Brivot and Yves Gendron, Beyond Panopticism, gives me information about the limitations in today’s surveillance in comparison to the panopticon. Some issues in today’s surveillance are that people can tamper with electrical systems, find the cameras blind spots, or create their own blind spots by inhibiting the cameras view of something they are doing. The original panopticon didn’t have these glitches, it was much simpler and the people were in a controlled environment where they weren’t able to do these things. Another useful secondary source was Jerome Dobson and Peter Fischer’s The Panopticon’s Changing Geography. This article goes through the three stages that the ‘panopticon’ has gone through to evolve into what it is today. Stage one was the original specially designed building of the panopticon, then the second was the controlled television network of cameras, the newest stage is electronic trafficking service. It then goes to talk about issues that I think my audience would be very interested in like comparing the benefits, costs, and coverage of each of these stages.